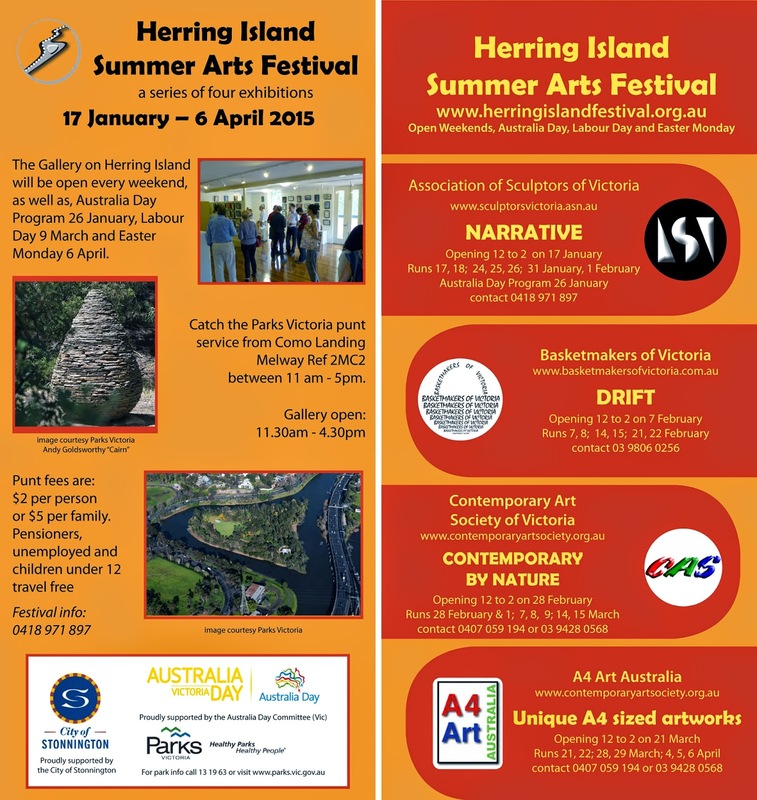 On 17th January 2015 Herring Island Gallery will re-awaken for the 2015 festival series of exhibitions. Councillor Melina Sehr, the Mayor of Stonnington City Council, will launch the festival and open the first exhibition in the series at midday. The first exhibition will be "Narrative" - work from members of the Association of Sculptors of Victoria. You can find out more about this exhibition on this page or on the ASV website. Access to Como Landing, where you can catch the Parks Victoria punt to Herring Island, has changed due to the landscaping works in the area. The path to the landing is there so do not despair we will be there to greet you in the gallery!